L – Maths leaders ie. teachers at any stage of their career who are passionate about maths and committed to transforming it at their school. P – Principals and executives eg. AP, ET, DP. We encourage you to strategically select your workshops so your team can be empowered with the information most relevant to your school’s needs. Use the break times to discuss how you’ll implement what you’ve learned and come away with a plan. In 2018, some schools even had their school maths plan mapped out by the time they arrived home from the conference. Now that’s impressive! All conference sessions support The Whole-School Approach to Mathematics K-6 Model which Anita Chin designed and launched with Tim Waugh in 2018. And all workshops will be hands-on so that participants can experience using one resource and/or task for whole-class differentiated instruction, which can also be used across their whole school K-6. 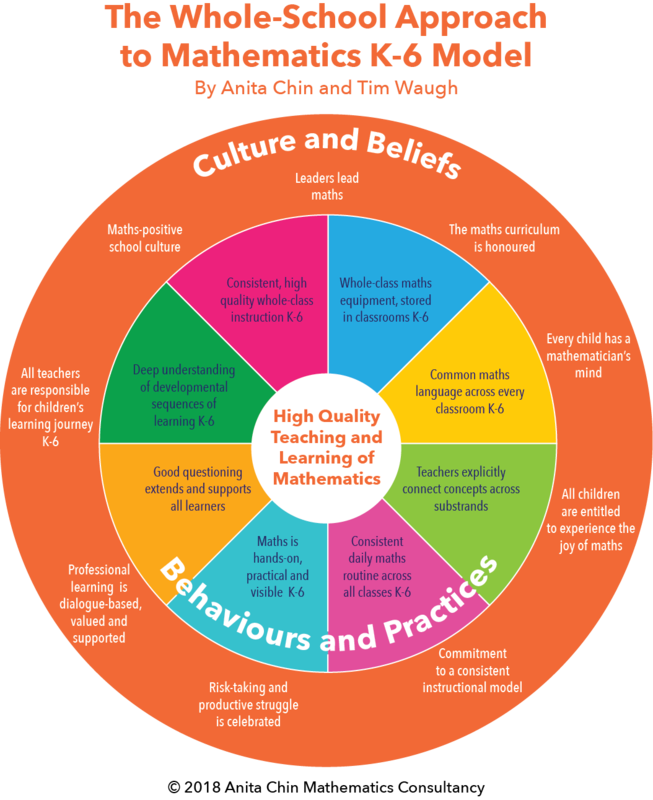 Every school attending Anita and Tim’s workshops will receive an A2 poster of The Whole-School Approach Model. Every school attending Anita’s leadership workshop in Session A will also get the opportunity to use one aspect of the Health Check – a tool designed to complement and support The Whole-School Approach Model – to diagnose their school’s strengths and weaknesses.